Observation - Unidentified - UK and Ireland. 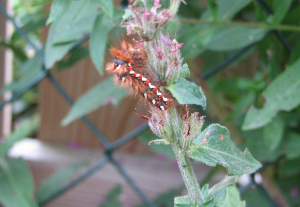 Description: Unidentified caterpillar on Escallonia hedging. Not observed feeding. Unidentified caterpillar on Escallonia hedging. Not observed feeding.